In our Middle School class we learned about Line Technique to create 3 D dimension and texture. We started the lesson by giving each student a sketchbook. 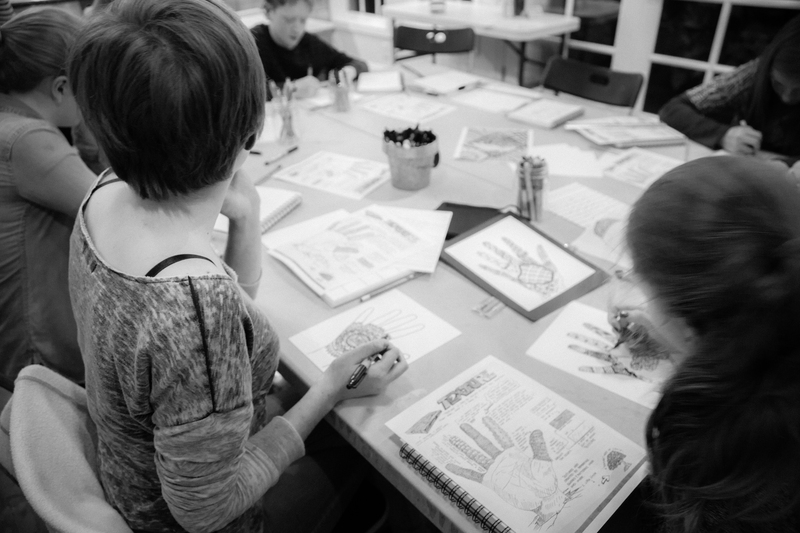 We looked at examples of sketchbooks and how they can be used (although there are no rules!). Each week we will take a few minutes to copy what we are learning into our sketchbook and to practice. During the week, the students are encouraged to mark it up and bring in whatever they have created to the next class to share if they feel comfortable doing so. The angle that these techniques are applied may remain constant within a drawing, or it may change in response to the angle and direction of the forms. We started by practicing different line patterns that we use to create different effects in our art journals. Please have your student bring these to each lesson and we will add to the journals as we go. They are also encouraged to mark-up their journals during the week and bring them in to share what they have created in class. We practiced line by creating 3D hand drawings.We added a cool background to our hands and warm colors on the hands to make them look even more dimensional. 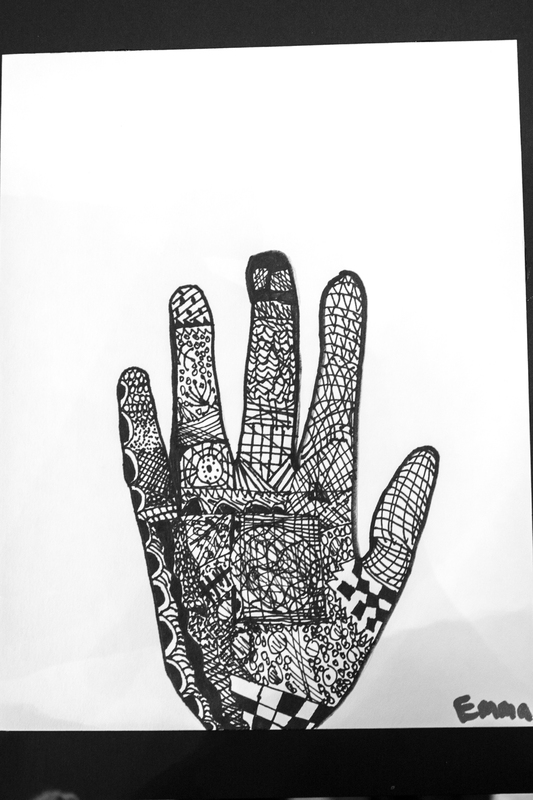 We then drew Zentangle hands. 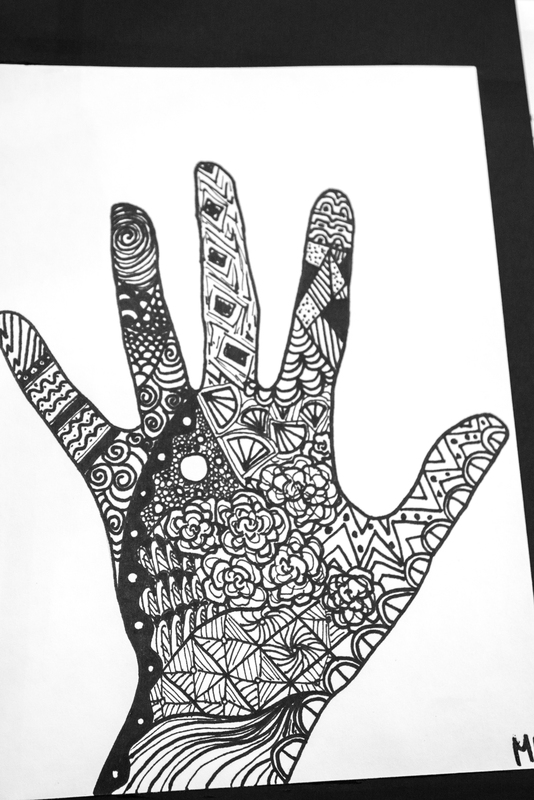 Zentangles are miniature pieces of unplanned, abstract, black and white art. We looked at how you can create different textures by using different lines. 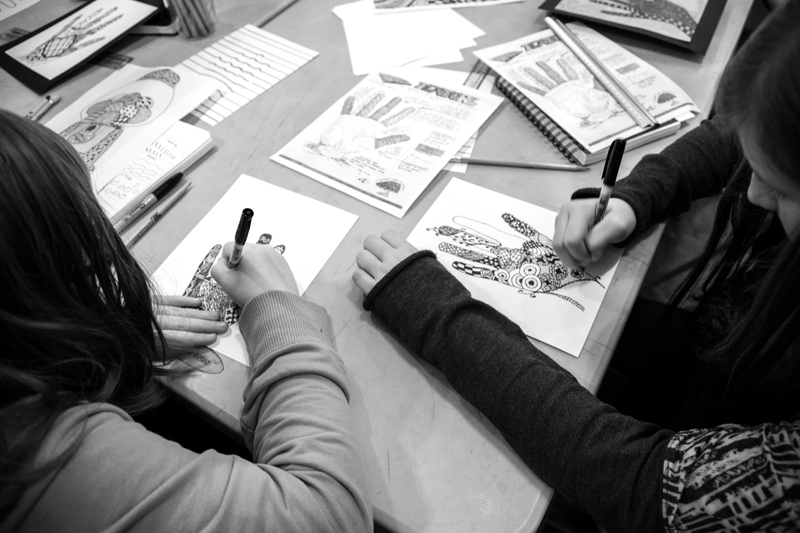 Each student was given a sketchbook. 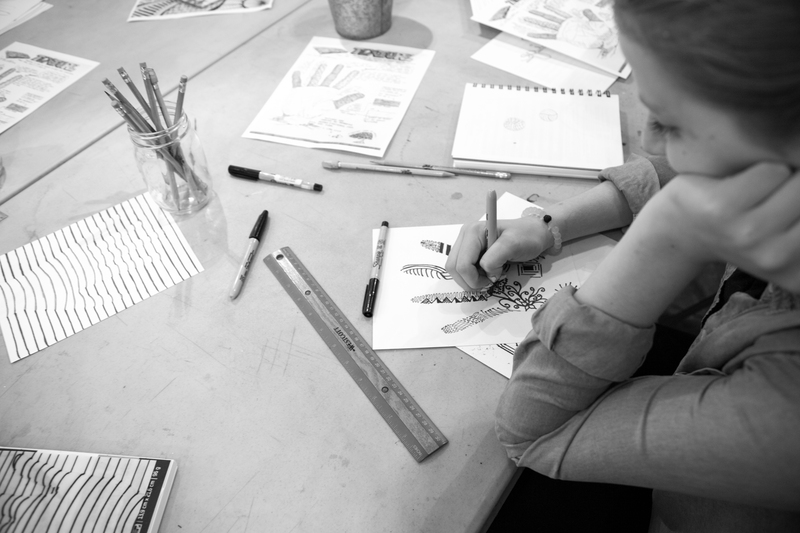 Each week we will add a new art concept to the sketchbook. The students are encouraged to mark it up during the week applying what we talked about in class and whatever may inspire them during the week.